Sturdy portable junior steel goals with crossbars and uprights made from 60mm diam x 3mm thick tubular steel with quality white powder coat finish. Supplied complete with white plastic nethooks to the crossbars. Please note: To comply with British Standards these goals must be securely anchored at all times. 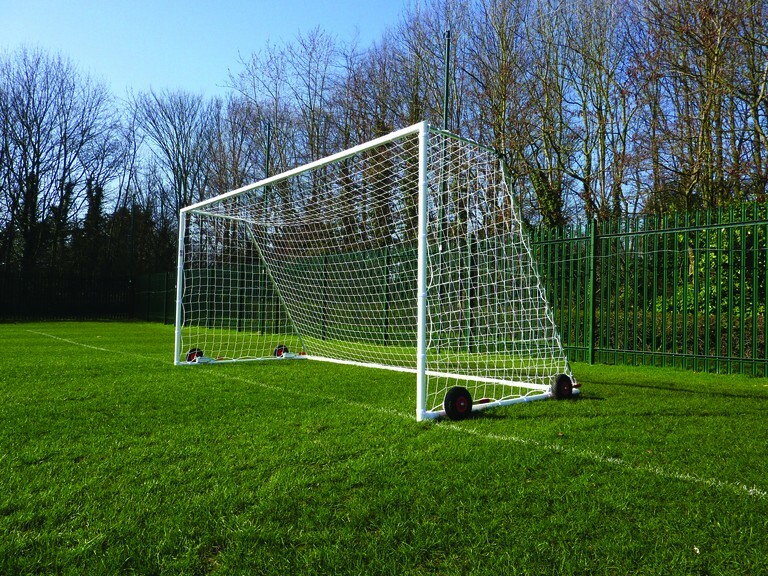 These goals are supplied with flip over 260mm diam puncture proof wheels (4 per goal) and 3mm white nets.